Atlantic Towers is an eleven-story high rise condominium complex located oceanfront in beautiful Carolina Beach, North Carolina. Atlantic Towers offers unique and attractive one and two bedroom suites. All suites are fully furnished, including a full kitchen. Each living/dining room area opens onto a private balcony with an extraordinary view of Carolina Beach and the Atlantic Ocean. We also offer an oceanfront outdoor pool, indoor heated pool, gazebo with a sundeck and grilling area, video game room, and laundry facility for our guests' convenience. Wireless internet is available in each room. Atlantic Towers is the premier resort on Carolina Beach. 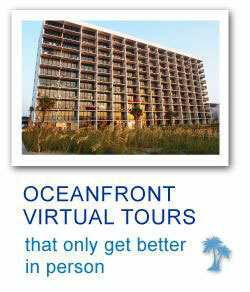 Atlantic Towers is the perfect beach getaway for all occasions. Make this year's vacation one to remember! Don't miss your chance to experience all the pleasures of our beautiful island.